Established in 1997 as a nonprofit organization, the Foundation is composed of an all volunteer Board of Directors. 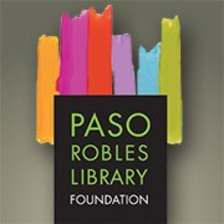 Our purpose is to engage the community in supporting the Library through financial donation and/or volunteer service. Library Volunteer Debbie Sharp was honored as the Library Volunteer of the Year 2018 at the Paso Robles City Library’s annual volunteer reception. Sharp began her service to the Library in August 2009 as a Reference Desk volunteer, but has taken on a number of other important duties over the years. Currently, she assists at the Circulation Desk, helps with the cataloging and processing of new items, and serves on the Library Board of Trustees. 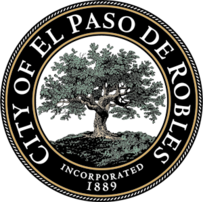 “This is the 17th year the Library has presented a Library Volunteer of the Year Award and we couldn’t be happier to award it this year to Debbie,” said City Librarian Angelica Fortin. Previous winners are Jean Schubert, 2002; Janine Kramer, 2003; Audrey Krauss 2004; Ann Martinez, 2005; Denise Surber, 2006; Joan Case, 2007; Mike Reagan, 2008; Cappy Culver, 2009; Nan Madding, 2010; Bill Dupree, 2011; Jean Schweitzer, 2012; Nancy Stephens, 2013; Shirley Gray, 2014; Jan York, 2015; Mary Walters, 2016; and Anne Bell, 2017. Sharp’s name has been added to the perpetual plaque in the library. The annual volunteer reception recognizes the many library volunteers who contribute thousands of hours each year in pursuit of excellence in library service. “Through their consistent dedication of time and skills, our library volunteers prove every day that this library is for the people by the people,” Fortin added.